I was browsing the Italian Wikipedia for class today when I realized that not every language seems to agree on which picture best represents the article for video games. So here's a list of different languages' Wikipedias and the picture that first appears on their page for "Video game." 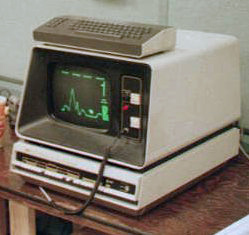 "Tennis for Two," currently accepted as the first video game, made on an oscilloscope. 1958. "Spacewar," the first arcade game, and honestly a little more obviously gamelike than "Tennis for Two." 1961. "Moonlander," also known as "Lunar Lander," doesn't even appear on the English page for video game, but for some reason it's the French page's first picture. 1973. 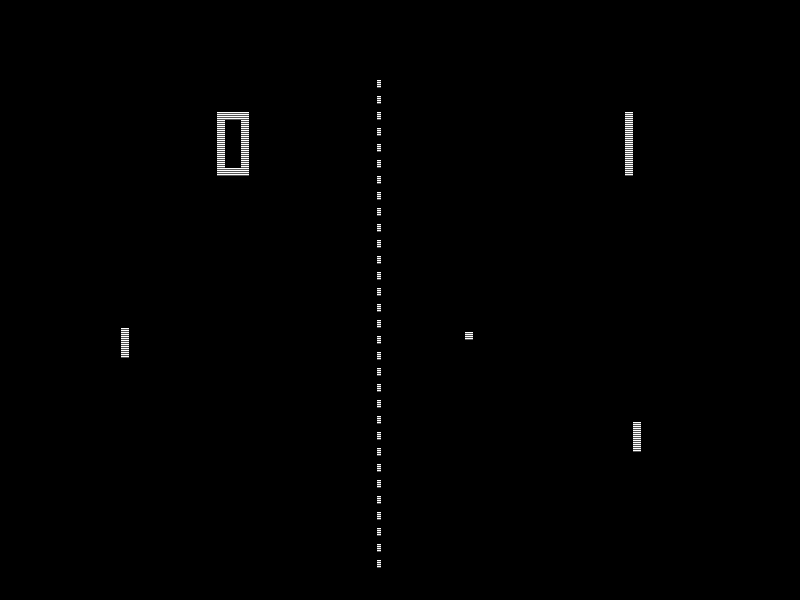 "Pong," a natural choice given that it's probably the game the majority of people on the planet assume was the first ever. 1972.
Who doesn't love the Simple English Wikipedia? Look at this great picture. Sure, it's not a game, but wow, that's adorable. So what if it is actually called attentionspan.jpg? I'm not joking. The "universal language" is about as universal as this is a good picture to represent video games. A giant fake version of a mediocre handheld gaming system with teens kind of milling about below it, wow! Catalan is a regional language of Spain known for some rebellious tendencies, so of course their picture to represent video games is "Tux Racer," a 3D skiing-ish game starring the boring penguin mascot of Linux operating systems. YOU GOTTA FIGHT, FOR YOUR RIGHT, TO UBUUUUUUNTUUUU! Another weird penguin game, but I don't know what this one is called because I can't read Arabic. Looks like a crappy "Super Mario World" clone, more or less. What is it with oppressed peoples and penguin games? Oh right, I almost forgot about Spanish, and here's why: This picture is terrible. The only two pictures on the page are this one and a top-down photo of a Wii Fit balance board. This picture is supposed to be "Final Fantasy V" on a Game Boy Micro, and, um, it's quite blurry and awful. How many people must speak Spanish, and yet none of them can be bothered to take even a mediocre photo of a video game thing? Hey, look at this, [every Spanish-speaking country]! The outdated regional language of a region in northern Spain has a better picture than the main Spanish Wikipedia! I don't care if it's only Fair Use or something, it's a Super Famicom and that beats a blurry picture of "Final Fantasy V" on a Game Boy Micro. A bit odd that it's "Star Trek," but hey, an arcade machine is a strong, recognizable image of gaming. Freaking RCA cables. I don't-- what-- no. Aaaaand I thought I'd end it on this depressing note, a picture of computer Mahjongg Solitaire. This is the best Iceland can get. I'm sad for them, really. It's too cold to go outside, their economy has collapsed, and the best image representation of video gaming for them is Mahjongg Solitaire. Maybe one day an American will carry a copy of "Doom" into their country, and a beautiful discovery of a new artistic medium will bloom in their poor country.